If you’re like most business owners, you don’t have much time to spend on insurance. That’s where I come in. 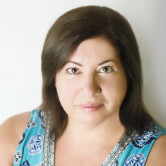 My name is Valerie Galello and I’m also a small business owner in Tucson, AZ. As a Farmers agent, I work with local businesses like yours to help as you identify and minimize risks. Whether you’re researching property, liability, or workers’ compensation coverage, I’d like to sit down with you and discuss your commercial insurance options. Just give me a call at (520) 886-5571.